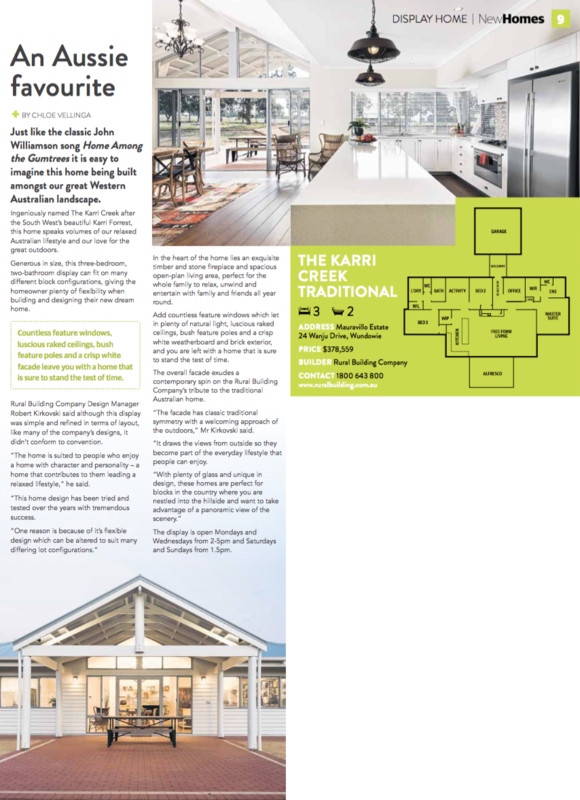 Our new display home the Karri Creek Traditional speaks volumes of our relaxed Australia lifestyle and our love for the great outdoors. The home features a simple and refined layout and like many of our Rural Building Company display homes, it doesn’t conform the convention. The home is suited to people who enjoy a home with character and personality that contributes to a relaxed lifestyle. Countless feature windows, luscious raked ceilings, bush feature poles and a crisp white facade creates a home home that will be sure to stand the test of time.